Black Friday 2015: Watch a woman steal from a child and shoppers punch each other. 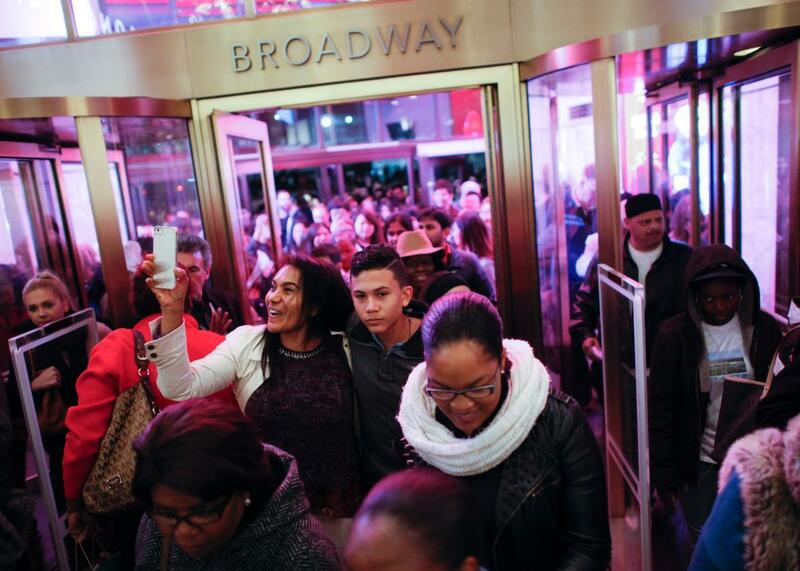 Customers stream into Macy’s flagship store in Herald Square on Thanksgiving evening for early Black Friday sales on November 26, 2015 in New York City. Here it is folks. The annual tradition of sitting in front of a computer after Thanksgiving to feel smugly superior to all the people who stood in line for hours to get that special sale on televisions—and vegetable steamers, apparently—has arrived. In one of the first videos to make the rounds, we can see people literally tripping over each other to get to a pile of vegetable steamers. Amid all the chaos, one woman simply decides to take one of the steamers directly from a kid’s hands. A fight obviously ensues. Some, however, immediately raised questions about the video’s authenticity, saying it was a bit too good to be true. The anonymous YouTube user who uploaded the video did not specify where the alleged video was shot. Whether it’s real or not, it’s hardly the only case of consumerism running amok on Black Friday. Chaos over a sale on televisions led one man at a Walmart in El Paso, Texas to take a swing at a cop. Also in El Paso, at what may very well have been the same sale, two women came to blows over a television. There were also two videos from Kentucky making the rounds on social media Friday morning. At a mall in Louisville, Kentucky on Thanksgiving night, shoppers punched each other—and knocked a woman to the floor—as they fought in a packed food court. A second video showed a fight at a mall in Florence, Kentucky. In both videos people can be heard shouting “World Star,” in reference to a website that compiles fight videos.